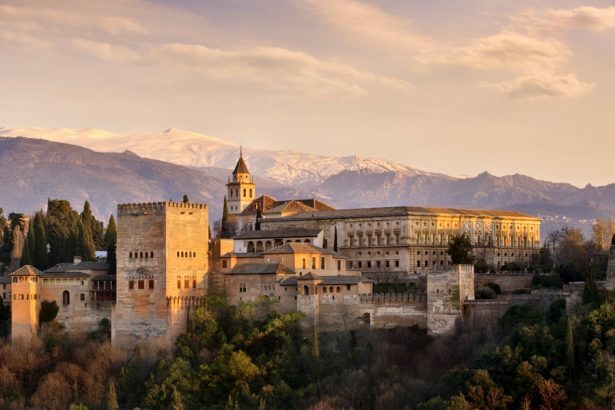 If cultural highlights as Alhambra, peaks of Sierra Nevada or the famous gay beach town Torremolinos – the area around Málaga and Granada shows Andalucia at its best. You could turn a travel report on Andalusia into a musical, and a pretty gay one: It would include Cindy & Bert (“When the roses blossom in Málaga”), Baccara (and their version of “Granada”) and Rex Gildo (“Torero”). The south of Spain seems to be a perfect incubator for perpetual clichés that cannot even be tainted by the profound tackiness. But that capacity is probably what makes a trip to Andalusia so attractive. Costa del Sol between Gibraltar and Costa Tropical south of Granada attracts sun-seekers from all over Europe since the 1960s. Marbella became famous as a celebrity hotspot in the 1970s where stars and starlets like Aristotle Onassis, Guy de Rothschild, Richard Burton, Audrey Hepburn, Gunter Sachs, Gina Lollobrigida, Brigitte Bardot and Gunilla von Bismarck had fun. 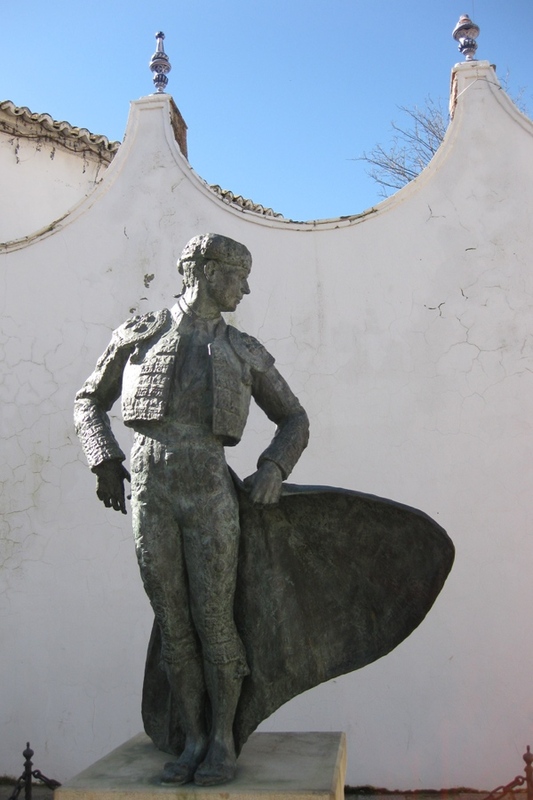 Torremolinos rather rings a bell with gay holidaymakers – the small town about 14 kilometres south-west of Málaga is the most famous gay beach destination on Spanish mainland apart from Catalan Sitges. Torremolinos is not necessarily pretty, but if you’re looking for a diverse gay scene in addition to sun, swimming and beach, you have come to the right place. 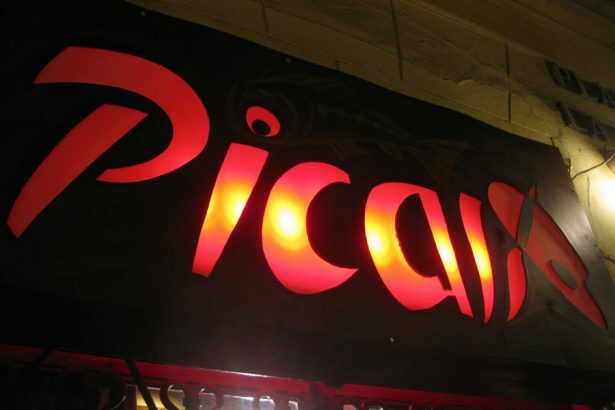 In the passage La Nogalera and in Pueblo Blanco there are about 20 bars, plus a lot of restaurants, clubs and cafés. The area is busy 24 hours during summer, those who like party crowds and are looking for this type of fun on holiday are in good hands here. Neighbouring Málaga may not be the gay hotspot of the area, but has a lot of cultural highlights to offer. Most travellers will pass through Málaga airport as it is the main gateway to Costa del Sol from abroad. Málaga is home to a medieval cathedral, the fortress Alcazaba dating from 11th century, Museo Picasso and Museo Carmen Thyssen-Bornemisza that opened in 2011. 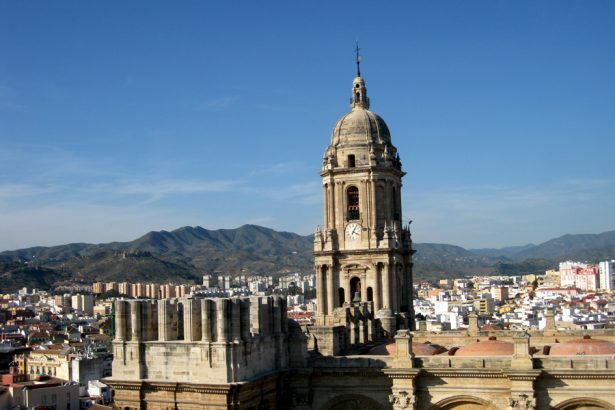 You should spare one or two days in Málaga before setting off to the region or make it your basis for day trips to Costa del Sol or the city of Ronda, famous for bullfighting. Driving through Andalusian hinterland up into Sierra de Ronda takes you past citrus plantations, small olive groves and gentle hills until you finally reach the small town situated on a rock plateau. Ronda is particularly famous for its location above a deep gorge spanned by a spectacular bridge. 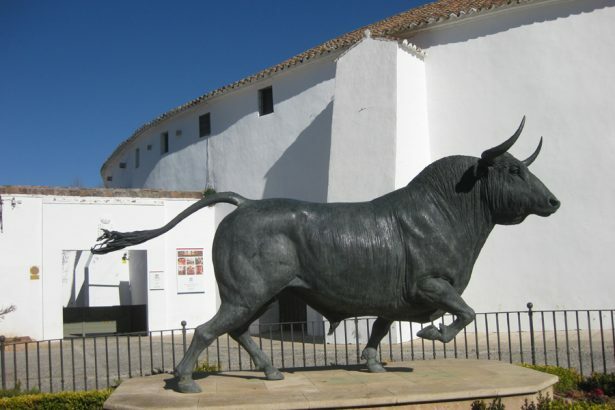 But Ronda is also one of the centres of bullfighting. Rules for the ‘corrida’ were developed here in 18th and 19th centuries and are still applied in Spain in these days. Pop ‘granny’ Madonna shot her video to”Take A Bow” in the impressive arena in 1994. Opera fans might recognise Ronda as the scene of Francesco Rosi’s 1984 film adaptation of Carmen (starring Placido Domingo and Julia Migenes). Back in Málaga you can choose from numerous tapas bars and restaurants ranging from trendy to classic in the narrow streets around the cathedral. El Pimpi, rich in tradition, is a kind of Andalusian Hofbräuhaus, whose most prominent guests include the Spanish king and Antonio Banderas who was born in Málaga. 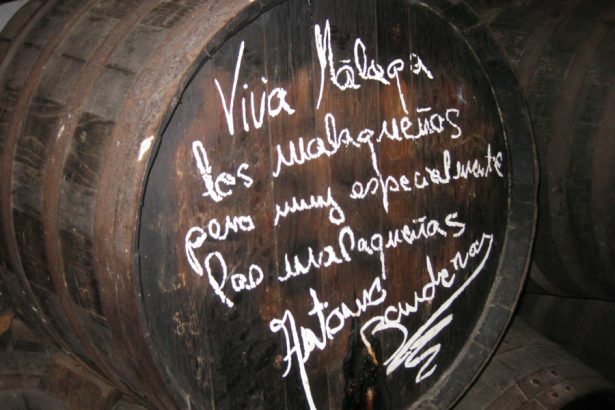 Instead of a Z for Zorro, the Spanish actor left his regular signature on one of the large barrels that are part of the decoration in El Pimpi. Right next to Pablo Picasso’s birthplace – he is also a son of the city – you can find El Carmen, a cosy gay bar whose style was deeply influenced by Pedro Almodóvar’s movies. The name is also tribute to Carmen Maura, one of Almodóvar’s favourite actresses. So much for cult. Granada is a two-hours drive from Málaga, located at the foot of Sierra Nevada. You should spend at least one weekend here. There is a lot to discover besides the gigantic Alhambra, but there is also the gay scene not to miss in this student city. It is really buzzing on weekends. 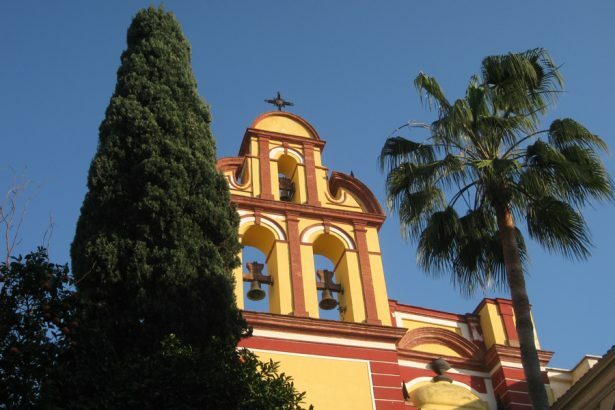 Everything you find missing in Málaga’s nightlife can be found in Granada. A good selection of bars, a young crowd and a gay club that is busy until early morning. 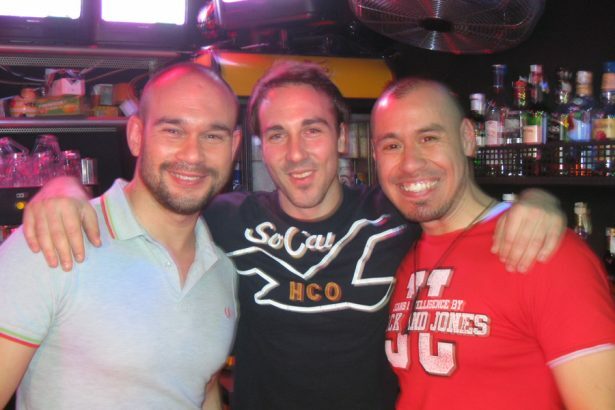 You can find Six Colours, probably the most popular gay bar of the city, right next to gay restaurant La Gayedra. As a Spanish custom dinner is not bening had before 9 p.m., bars don’t fill up before 1 a.m. – unless you prefer to be on your own. But what would the nightly charms of Granada be without the Alhambra that crown the city. Building of the Moorish palace and fortress started in 13th century. It is one of the most visited tourist attractions in Europe in these days. Especially the palaces of the Nasrid dynasty with their inner courtyards, fountains and numerous stucco ornaments are among the most beautiful examples of Arab architecture on European territory. Granada’s old town resembles an Arabic medina in parts – although only a few buildings such as the old caravanserai have survived. Literature connoisseurs should also pay a visit to Huerta San Vicente. Federico García Lorca, one of the most important authors of modern Spanish literature, spent the last six years of his life here and wrote some of his major works such as “Blood Wedding” and “Bernarda Alba’s House”. In 1936, at the beginning of the Spanish Civil War, the gay writer was murdered by fascists and buried in an unknown place. Perhaps the most beautiful time for a tour of Andalusia is spring from early March to Easter. Cities like Ronda or Granada are not yet overrun by day trippers of Costa del Sol and the landscape appears in lush green – interrupted only by almond trees in full bloom. Snow glitters on the peaks of Sierra Nevada, which builds a backdrop to Granada and protects it like a mighty wall. Those visiting the villages of the region of Alpujarras can do so without being surrounded by crowds. The whitewashed hamlets Capileira, Bubión and Pampaneira stick to the mountains in a most picturesque way, while Rio Poqueira river passes a deep gorge on its way to the Mediterranean. On clear day, you can spot Costa Tropical from this high Alpine climate zone. Hikers can undertake guided tours from the villages located at the edges of the Sierra Nevada National Park to the mountain peaks. And even skiers get their money’s worth just outside Granada. Europe’s southernmost ski resort hosted the Alpine World Ski Championships in 1996. Spain’s gays and lesbians do have to abstain from skiing pleasures, either: Granada was the base of the first Gay Skiweek in Spain in April 2010. Official hompepage of Andalucía province with plenty of information and event calendar. A variety of information on travel destination ‘Spain’ and its regions. Iberia offers flights to Málaga via Madrid. Air Berlin offers non-stop flights to Málaga from Berlin, Dusseldorf, Cologne, Münster/Osnabrück, Vienna and Zurich. Return tickets start at 280 Euros. Keep your eyes peeled for special offers on the airline’s website. All information on the gay scene in Torremolinos, Málaga and Granada can be found in Spartacus International Gay Guide or iPhone App.